There can be no doubt that this remarkable document uncovered and authenticated recently by a team led by Caleb Smith at Yale University is something altogether new in the annals of prison literature. A young free black inmate of New York’s prison system, ten years old at first incarceration in 1833, shares his history in rich detail and with great storytelling skill. If at first I thought this might be a story of the wrongly accused—the boy was only ten years old!—I was soon disabused of that idea, given Austin Reed’s own testimony that his mother was despairing of his precocious criminality and bad habits, sending him out to be indentured to a farmer some distance into the country from the corrupting influence of city life Rochester, N.Y. Within days Reed had made that farmer angry enough to give him the whip, at which point Reed threw himself on the mercy and tender attentions of another nearby farmhouse, who promptly made an effort to bring the boy back to his home in Rochester again, to the near-suicidal despair of Reed’s mother. What makes this work so thrilling to read is that the reader finds oneself taken with this “bright boy” despite his best efforts to complicate his life, forcing one to imagine the position and condition of a free black in a northern city before the Civil War, and examine what could cause such indignation on the part of the sister and the boy when authority of any kind attempted to constrain their unruly behaviors. When Reed tells us that being in the House of Refuge in New York City as a young boy taught him many scams and illicit behaviors of which he had been previously unaware, and to which he took like a duck to water, we shudder to think of what will become of him. So it is foretold that he was incarcerated most of his adult life for felonies and larcenies of all sorts. 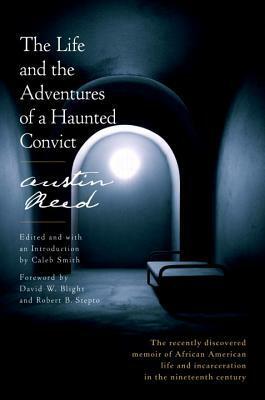 This beautifully written, edited, and annotated memoir of Austin Reed’s time in jail is revelatory for what it says of the cruelties and inconsistencies in the justice system, but it also gives an unforgettable glimpse into the mind of a black man in the system at the time. Prison “cut off from all virtue” a man who could only “sit brooding on vice and preparing for crime.” Fantastically detailed in places, the memoir recreates the adventures of a picaresque hero more usually found in the pages of a novel. Reed had many protectors and mentors during his time in prison, and due to his native intelligence, pride, and charm (and despite his crimes), managed to live out his years to old age. A letter he wrote to the prison system in 1895 is discussed in the Introduction. While I have called this work a memoir, it is not a memoir in the usual sense. It is a personal history in the manner of literature at the time, and uses fictional devices and structure in places to make the story flow and involve readers. The prison warden also notes that Reed is “a most notorious liar…a deep knowing impudent and brazen-faced boy…” Inconsistencies between Reed's record and the researched history of the time suggests Reed took some liberties with the truth. Reed wanted the work published: he actively tried to make that happen at different stages in his life. Reed had a sensibility that reminds one of Iceberg Slim, another proud brother who had a strong sense of his own talents who used prison to learn many shortcuts to the life he wanted to live. Iceberg Slim also came to advise against a life of crime, but he could see the attractions of it, and the reasons for it, in the black community. I cannot recommend this entrancing book more highly. This ninth novel in the Tony Hill & Carol Jordan series written by Scottish mystery writer Val McDermid brings us a serial killer who preys on opinionated women who take principled stances embodying feminist ideals, e.g., outspoken against domestic violence, deadbeat dads, the living and work arrangements of serial rapists. The police at first dismiss the vituperative online trolls who respond to these womens' blogposts—"it is only words"--until some of those outspoken women end up dead. Hill and Jordan are long-time McDermid subjects, and the stars of a BBC TV series called The Wire in the Blood, a popular six-season (2002-2008) police procedural starring Robson Green as Tony Hill and Hermione Norris as Carol Jordan. Every two years since the TV series finished, McDermid published another Hill & Jordan mystery. In all that time, Jordan had left the police force and has started drinking far too much far too often. This story began with Jordan refitting an old barn on the outskirts of Bradfield, Yorkshire to live in. McDermid’s character of Tony Hill always seemed to me far less autistic than Robson Green’s interpretation. Hill does play computer games to give his subconscious time to develop ideas, and he does have a tendency to insert himself into Carol Jordan’s orbit. In this story, Hill intervenes in Jordan’s drinking habit, forcing her to recognize her dependency. Insomuch as McDermid's crime series also employ elements of police procedurals, this is a delightful look at the top cops who have a meeting early in the action. They sound so much like a group of Shakespeare’s hags around a black, round-bellied pot hanging over a campfire one can practically hear the “Boil, Boil, Toil and Trouble” refrain. The old white men discuss offering Jordan her own shop under their aegis but outside the shop. The team she ultimately assembles has some terrific, familiar characters. One of those characters, a computer whiz from an immigrant family, is sleeping with a handsome but shallow fellow officer who is always seeking the best path to his own personal aggrandizement. When the computer whiz discovers her main squeeze is leaking information from her investigation, she takes the sweetest revenge—I laughed aloud to hear it. I’m not going to tell you what it is, but believe me, you won’t want to miss it, and you wouldn’t want it to happen to you. McDermid is so smooth and natural in her writing by now in her Gold Dagger Award-winning career that she makes churning out these psychologically dense personality profiles look easy. Scottish by birth, McDermid now splits her time each year between South Manchester and Edinburgh, where lives with her partner and her son. She began as a journalist and playwright and, inspired by American women crime writers including Sara Paretsky, she developed her own crime-writing style. If you have never seen her speak, you are in for a terrific treat. She has a big personality and clearly enjoys her work on most days. Just type in “Val McDermid interview” in YouTube’s search bar and you will hear many hours of fascinating stories, mostly true. My personal favorite in these interviews is a short one in which McDermid is interviewing Sofie Gråbøl (embedded below), star of the Danish production of The Killing, a wildly popular multi-season TV hit throughout Europe. If you haven’t yet seen it, do not mistake the American re-do of the television screenplay for the original Danish production, which was mesmerizing. McDermid mentions the sweater Gråbøl wore in the show which became a hit also, spawning an industry. 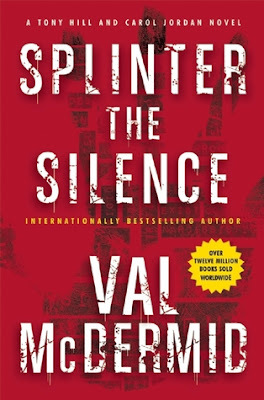 Also note that one of McDermid’s most famous books, A Place of Execution, was made into a TV mini-series, three parts of which are also available for free on YouTube. I haven’t watched it yet, but you will recognize some of your favorite actors. My favorite is Lee Ingleby, but Robson Green is there also. Enjoy! I listened to the audio production of this book sent to me by Goodreads FirstReads, narrated by Gerard Doyle and produced by HighBridge Audio, a division of Recorded Books. I still don't understand how the title fits in, though. I never caught the reference to that. If anyone out there figures it out, please leave me a comment. Mine is book blog. However, I am departing from my normal post to suggest you listen and watch Thomas P.M. Barnett go through his presentation on U.S. global strategy and security. These talks were given in 2015 to an international military audience in Washington, D.C., and published on youTube in January 2016. Barnett has written several books, which he advertises in these links. I found Barnett's speech when researching Perry Anderson, the author of U.S. Foreign Policy and Its Thinkers, my last post. Enjoy this set of 9 short videos. 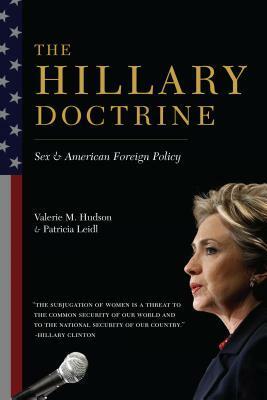 An old friend of mine who is a life-long Marxist and an academic recently reconnected, and when he read that I have been mulling over the way the United States has been conducting its foreign policy, he suggested I read this book. British historian and political essayist Perry Anderson is a Professor of History and Sociology at the University of California in Los Angeles and a former editor of the New Left Review. Anderson bounds through American foreign policy in the twentieth century, masterfully sketching the outlines of “Washington’s drive for global hegemony.” Anderson is persuasive, especially since many of us now are not intimately familiar with the periods he discusses and he can leave out messy and contradictory words, actions, policies, and intentions of the actors and their administrations. 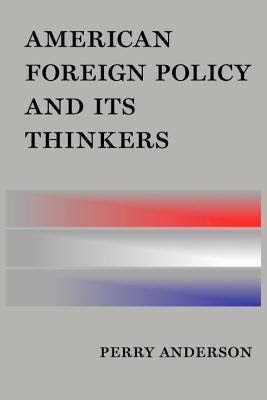 Anderson looks at the results of policies rather than stated intent (not a bad thing in itself) and reviews recent literature published by former foreign policy administrators (Kissinger, Brzezinski, Kagan), and academics (Mead, Layton). Anderson quotes Truman’s Secretary of State Dean Acheson (1949-53) as saying (not for public consumption): “…Congress is too damn representative. It’s just as stupid as the people are; just as uneducated, just as dumb, just as selfish.” This point has been made an infinite number of times by those frustrated with the process of democracy, and, I might add, is heard often these days among observers of the American election for president. I sympathize with Acheson, frankly, but neither he nor I would choose a different system, or a different country. It is enlightening for any student of a particular discipline to encounter someone with quite different ideas, especially if one is dissatisfied with current thinking on a topic. What really astonished me was that I had never heard of several of the folks he mentions as “those to honour”: Christopher Layne, David Calleo, Gabriel Kolko. What this tells me as a reasonably informed citizen is that folks with different viewpoints are sidelined and not covered, much like the coverage of the western press in conflict areas (see my review of The Jihadis Return by Patrick Cockburn). We just don't hear dissenting voices. Anderson also mentions Chalmers Johnson, Andrew Bacevich, and Noam Chomsky in his select group of those to honor, all of whom I have heard. But I dislike Bacevich for the very reason I tend to dismiss Anderson himself. Both Bacevich and Anderson are academics, and academics tend to talk among themselves and pat themselves on the back for their wise pronouncements or otherwise shrilly denounce colleagues for holding different opinions. But they pontificate to themselves. Their arguments bear almost no relation to actual diplomacy, or the day to day scrum of running a country. Unless their ideas are brought into the White House with an administration, there is no chance these folks are going to be listened to because their bombast and hurled insults make their comments hard to hear. Anderson makes the point that “the literature of grand strategy forms a domain of its own, distinct from diplomatic history or political science…individuals moving seamlessly back and forth between university chairs or think tanks and government offices.” Thus the administration also talks to itself. It does seem to be so, and no matter that I personally revile Anderson’s and Bacevich’s style of heated rhetoric and detestable arrogance which makes it difficult for me to read their ideas, they are talking about something in which I am deeply interested, and which has ramifications for the way I vote for America's leaders. Anderson, who sneers at the “thinkers” of his title, discusses Obama’s role as “executioner-in-chief,” and quotes Ben Rhodes, formerly Obama speechwriter, now National Security Advisor: “What we’re trying to do is to get America another fifty years as leader.” This is also Hillary Clinton’s stated goal. This idea is exactly what I am wondering about. Is American primacy and leadership in the world in the American populace’s best interests, or in the world’s best interests? The answer is not as obvious as it might seem. It may appear to be so, but I can’t help thinking that despite our enormous wealth and resources, we cannot have all the answers for the rest of the world. We don’t even have the answers for our own country. Surely “primacy” is not the point. Or is it? What does that even mean? Does it mean we get to extract resources to support our own wellbeing? Does it mean we must bolster or support the rest of the world? What are our obligations as leader? What are our obligations as an ethical people, even without "primacy"? If I could be sure that the adage "power corrupts, and absolute power corrupts absolutely" was not exampled many times in human history, I might be willing to go along with the leadership idea. But it isn't just leading always, is it? Despite my difficulty reading this discussion which mentioned so many works I have not read, and so many people of whom I have not heard, I did order Christopher Layne’s The Peace of Illusions: American Grand Strategy from 1940 to the Present to see if I can understand slightly more. My next post has video clips of Thomas P.M. Barnett discussing what should influence U.S. Global Strategy in the future. Barnett gave a talk in 2015 in Washington, D.C. to strategists in the military, and published the talk on YouTube in January 2016. 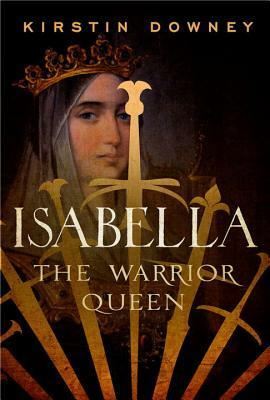 Queen Isabella of Spain is remembered as being a brilliant logistician, so good at strategizing and outfitting her troops for war that she often emerged victorious. She fought a great deal—her family for the right to rule, Portugal for land and eminence, Muslims to retake occupied territory. She was a strong patron of the arts, curious in intellectual debate, and an ardent Catholic, an unusual combination of traits in any century. Any reader who appreciates history will appreciate Downey’s effort to place Isabella and her contemporaries in the context of world history. Monty Python: The Monty Python skit of the soldier who first loses a leg, then an arm, then another arm…you know it…was based on the struggles of Portuguese soldier, Duarte de Almeida, to keep the Portuguese flag flying in the Battle of Toro against Ferdinand and Isabella, who were thought to be illegally seizing the throne in Castile. "It was difficult to recount later exactly what happened because the Portuguese and Castilian accounts differed...the Castilians seized the battle flag, the royal standard of Portugal, despite the valiant efforts of a Portuguese soldier, Duart de Almeida, to retain it. Almeida had been holding the flag aloft in his right arm, which was slashed from his body, and so he transferred the pendant to his other arm and kept fighting. Then his other arm was cut off, and he held the flag in his teeth until he finally succumbed to death." The game of chess: "Chess was enormously popular in Spain during Isabella’s rule…and soon after the battle [of Almeria during the Reconquest], the Queen became the single most powerful piece on the chessboard, able to move great distances in all directions, her mission is to protect and defend the key piece on the board, the King. Some versions of chess had had a Queen figure before Isabella’s birth, but it was at this time that the fame, originally invented in India, underwent a complete metamorphosis and the queen became a dominant figure. The changes in the game were chronicled in a popular book on the new rules of chess, published in Salamanca about 1496, written by Ramirez de Lucena. He described the game now as “queen’s chess,” and her new powers allowed her to “advance as far as she liked, as long as her path was clear.” Queen Isabella had memorialized herself as a powerful player in the game of war." 1492 was the year that Americans have enshrined as the year Columbus discovered North America. But in Spain, it is the year that Isabella and Ferdinand finally took back Granada, after the fighting of many years, from the Muslim Nasrid dynasty. “The victory over Granada won acclaim for Isabella and Ferdinand throughout Europe, because it was the first significant triumph against Islam in hundreds of years, and to many Europeans, it was partial payback for the loss of Constantinople.” Cristóbal Colón “was at Granada when the city finally fell to the Christians [to petition the Queen]...but court scholars once again rejected Columbus’s proposal as unsound.” Shortly after meeting with the Queen in Granada, however, the Queen sent a messenger after Columbus, reaching him about ten miles outside of Granada. The trip was approved. Three well-known mariners, the Pinzon brothers, agreed to sign on in leadership positions. Juan de la Costa brought his own ship, Santa Maria. They left August 3, 1492, and sighted land in the Caribbean on October 12, 1492. Syphilis Downey makes a case for the notion that Columbus’s returning ship brought the disease to Europe in 1493. The Inquisition initially began as an attempt to ferret out insincere Christians, and to correct them. Those deemed unrepentant were burned at the stake, the traditional penalty for heresy. The thing was, Spain was filled with Muslims and Jews as a result of previous conquests. Many declared themselves to be Christians to get along, but retained their old customs and methods of worship. “The governing principle of an Inquisition is that failing to conform to religious and political norms is treason. In Isabella’s age, church and state were one—religious authority and secular power were intermingled….Historians once believed that immense numbers of people were burned at the stake, but more recent scholarship has cast doubt on those assertions…There is no questions that during Isabella’s reign, hundreds of people were put to the flame, probably at least 1,000…” Isabella chose a religious zealot, Cisneros, as archbishop of Toledo, the most important and powerful cleric in Spain. With this, she “put her kingdom on a less tolerant and more religious path,” leading to excesses in the Inquisition. Cesare Borgia: Isabella was a devout Catholic and was pleased when Rodrigo Borgia ascended to the papacy in August 1492, the second time a Spaniard managed to do so. However, Borgia, who had taken the name of the Greek conquerer Alexander IV, proved himself a corrupt and promiscuous pontiff, fathering a vast number of “beautiful and intelligent” children whom he squired to important ranks in society. Cesare, “the cynical man whom Machiavelli called a political genius,” was one of these. Vasco de Gama rounded the Cape of Good Hope in 1498 and returned to Portugal with Indian and Asian spices, just about the time Isabella’s daughter, Maria, married Manuel, King of Portugal. Queen Isabella was at the end of her reign, but now that her daughter was Queen of Portugal, “together they ruled over much of the world, and wealth poured into their countries.” Isabella had always been a patron of the arts, commissioning paintings to mark major victories or family events. Catherine of Aragon was Isabella’s fourth daughter. She was wed to Britain’s Prince of Wales, Arthur, but it is uncertain whether or not the marriage was consummated before Arthur died of the plague in 1502. It was suggested that she marry Arthur’s brother Henry instead of returning to Spain, but in order to do so, Isabella needed a papal dispensation from the Pope she had begun to hate for his excesses, Pope Alexander IV (Rodrigo Borgia). King Ferdinand therefore drafted the request, and after two years the dispensation returned from Italy and was subsequently sent to England. I am not a historian, but historically-minded readers will find her popular history filled with possibilities for further investigation. The back and forth nature of writing history is probably the best way to record all the events in a certain time period, but sometimes, with the detail, I didn't always get a clear view of chronology, or a snapshot of a moment in time. I read the paper copy and listened to the audio version published by Random House and narrated by Kimberly Farr. Both Downey and Farr did a herculean job. "Oh beauty, you are the light of the world!" It is said the way to deal with loss is to remember. Alexander chooses the most gorgeous memories for the elegy of her husband Ficre, like a bowl of blowsy, fragrant roses or a rarely-blooming South African bonsai covered in pink blossoms that exude a sweet perfume. The unusual capacity of both artists to see beauty and possibility in the world gave them loving friends that each of them gathered about themselves and cherished for one another. They lived a life of such richness and beauty that they cannot now be sad it had to end. That it was a privilege, both of them would acknowledge. Ficre Ghebreyesus was only days past his fiftieth birthday when he died of a massive heart attack one evening on his treadmill while he waited for his wife and the mother of his two sons to return from a poetry reading. The memories of their meeting, the births of their sons, their life together--he as a chef and painter, she as a teacher and poet--is as wonderful as anything I have ever read, and as mysterious in alchemy as any chemistry. Gorgeous. Unforgettable. Oh joy, oh pain, oh beauty. 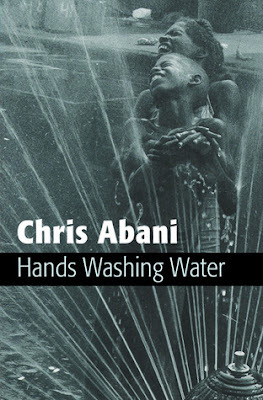 The work of Chris Abani crosses national boundaries. He calls himself a “global Igbo,” referring to his lineage, and to the fact that he has so many foreign influences on his experience as a Nigerian. Brought up privileged in an educated middle-class household with a white British mother and an Oxford-educated Igbo father, Abani had access to western music, American novels, Bollywood films, Indian mysticism as a youth. He was a precocious fourth son, starting to write in his early teens. "Comfortable face. I liked it. Made me think of a well-worn armchair that I’d like to collapse into after a rough day. A face made for sitting in. Where one could sip a sweet spicy ginger tea and talk about love and books and karaoke. A face worn in by living, worn in by suffering, by pain, by loss, but also by laughter and joy and the gifts of love and friendship, of family, of travel, of generations of DNA blending to make a true mix of human. I think of all the stress and relief of razors scraping hair from my face. Of extreme weather. Of rain. Of sun. I think of all the people who have touched my face, slapped it, punched it, kissed it, washed it, shaved it. All of that human contact must leave some trace, some of the need and anger that motivated that touch. This face is softened by it all. Made supple by all the wonder it has beheld, all the kindness, all the generosity of life. 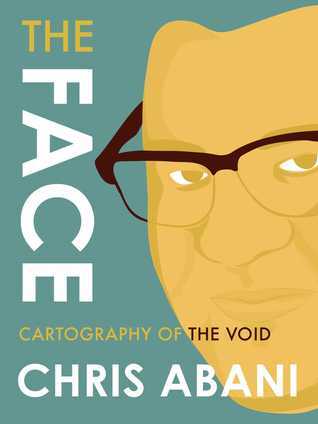 It is not just the face of Chris Abani that is comfortable. He makes us comfortable about ourselves, about the world, about our fears and aspirations. 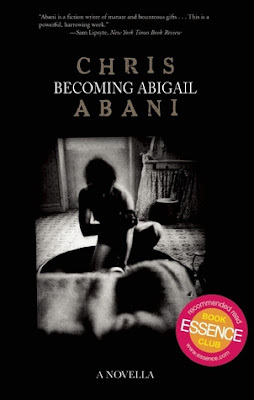 Abani’s fiction reveals the insides of characters who are often different in some way, their very differentness expressing their underlying and universal humanity. We are all different from one another. It is our differentness that makes us the same. "In making my art, and sometimes when I teach, I am like a crazed, spirit-filled, snake-handling, speaking-in-tongues, spell-casting, Babylon-chanting-down, new-age, evangelical preacher wildly kicking the crutches away from my characters, forcing them into their pain and potential transformation. Alas, or maybe not, I also kick the crutches away from my readers. And many have fled from the revival tents of my art, screaming in terror." When we go to dark places in ourselves, Abani suggests, we can come back, better. “When you are at your worst, you can see yourself most clearly.” At your worst, you can see your choices most clearly, and choose goodness, compassion. This is a man who has seen the darkness in humans and who still [mostly] likes us, who can laugh, make jokes, love others deeply. We feel safe with him, and if he can’t save us when something bad happens, at least we shared something real with another for awhile. Abani writes fiction and poetry—how real and important can that be? Quite real enough to reveal both the dark heart and warm center that most humans harbor. Language, and literature, at its best, can be transformative. We can create our world anew by what we say, what we think, what we read, what we write. But we therefore have an obligation to use words [and actions] that do not harsh the environment, but gentle it, that explain and improve the world. Abani is a black man, but his writing has few markers for what passes for “black” in America. In a 2014 interview with Rumpus Magazine Abani tells Rumpus interviewer Peter Orner that having grown up in a black-majority country, he was not defined by his race until he left Nigeria and went to Britain and the United States. 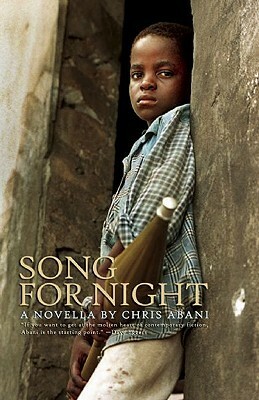 Though he has lived in the United States for some ten years or more, Abani does not write in the style of white or black America, though he clarifies in an NPR interview, “Africa could never have the literature it does without the influence of black Americans.” African literature makes no attempt to fit into the Western canon: African writers are having this conversation over here, and if you want to join in you must make accommodation. Interestingly, Abani finds writing in America freeing, partly because of the language, which is constantly influenced by our immigrant population, and because of the vitality and variety of experience and geography. Abani now teaches writing at Northwestern University in Chicago. Daria Tunca of the University of Liège in Belgium has compiled a wonderfully complete bibliography of Abani’s work (and short biography) which includes links to interviews, readings, and Abani’s website. I share my favorite links below because I feel his work is essential reading/listening. Somehow the issues we face in the world are pointed to by this big man with the small voice and small toes. And he gives us some answers: You reflect my humanity back at me. Ubuntu. was preceded by words from high mass. "The dog’s black tongue was more terrifying than its teeth." "Sorrow lodged like a splintered bullet next to the heart." washing grain by grain even the hardest stone of sin." "The way a photograph cannot remember the living." "When we say love we mean, I want. When we say sorry we mean, forgive me. There is little room for anyone else. But Bean, she loves me. How else can she keep forgiving me?" This is wood, enchanted wood. and then we say wood. "Some may call me a pessimist, but I am not. There is nothing gained from loss. I drink tea in the shade and believe in poetry. I am a zealot for optimism." Your poem "Ode to the Drum"
pulled me back from many night terrors. into these tired lines, these words. At the end of one of his TED talks, Abani reads Komunyakaa's "Ode to the Drum" "in a way Komunyakka would be proud to hear it read." "My desire is struggling up the mountain. My fear is a shower of pebbles. Your son is trying to be a good man, Mum. Your son is going to be all right. There are no names for red." The real strength in Abani’s work is his willingness to see and not be ruined by the seeing. He has enough reserves to still give succor to those of us stumbling along beside him. "I have always envied the stigmata," he tells us of those wounds that will not heal…"I want to put my fingers in the wounds and swirl them around." And so he does. This book was published in 2010 by Copper Canyon Press. Chris Abani, when asked by Walter Mosley in 2010, said he was a novelist first because he thought in stories. He works on poetry and novels concurrently, using one to break the logjams of the other. He works constantly. here. I nod. I know. It is the same all over Africa." One extraordinary twelve-part poem, “Buffalo Women,” imagines the correspondence between a white woman and a recently emancipated slave who is fighting in the Civil War. The agony of their separation and the possibility of no return is everywhere evident. "Remember the bird of paradise you planted? and a long piece of sheet to swaddle yourself." In “A Warrior’s Pride,” we learn to sharpen a broadsword till it cleaves a single blade of grass. Soot, ash, water, stone. old enough to have words for birthing the earth." I turn back to the stirring of the coffee. rosemary and thyme spill in. In the TED talk below, Abani told us about seeding the names of the dead, singing melancholic dirges while planting. When it comes time to harvest, joyful songs commemorate the village’s newborns. The other reference in this poem is to the paintings of novelist Percival Everett. This collection, first published in 2006 by Copper Canyon Press, is now available as an ebook by that publisher. The Notes at the end of this collection give the reader a frame of reference for each poem, except for the title poem, which has no notes. Chris Abani is a novelist and poet who often writes about his native Nigeria. Graceland, his novel about a boy in whiteface growing up poor in Lagos, broke onto the literary scene like a storm. Since then, Abani has written several books of poetry, as well as novels and novellas, all of which look frankly at conditions under which the most exploitable among us must live. Becoming Abigail looks at the life of a young girl raised by her father in Nigeria. Her mother, also called Abigail, died in birthing her and ever since, her father looked at the child to fill the gap made by her mother’s death. Abigail’s inadequacies were agonizing to her. The story opens in London, where the fourteen-year-old Abigail was brought by a "cousin" after the death of her father. Abigail feels responsible for all the pain in her world. The cousin dresses her in thick makeup and skirts too short. Abigail looks much older than fourteen. Her confusion about safety, trust, love makes her vulnerable, and at the same time, invulnerable. Abani enters a woman-child’s places of pain and sees, and speaks of it. It is a searing experience. One would think that, having viewed the worst in humankind, the author would have no kindness within him, but the opposite appears to be true. He embodies a generosity of spirit that refreshes. This short novella can be read in a sitting. Abani's clarity and willingness to examine truth is what makes his writing exceptional and essential. This novella is informative for what it tells us of experience, and how that forms or deforms us. 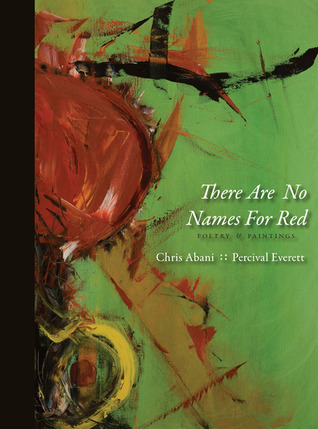 This collaborative work features the poetry of Chris Abani and the oil paintings of Percival Everett, also a novelist. Published in 2010, the 7.5" x 10" format with a wainscoting of gray in the bottom third of a white page gives plenty of space to display Everett’s work alongside numbered stanzas of what might be a single poem by Abani. While I cannot be exactly sure what Abani meant by those lines, it sounds a great deal like death, outside, a feast for birds, blackening in the sun. Desire and death, "all the terror we can bear", "survival", "hunger", "sorrow, of weight beyond measure", "drowned". These poems describe the "box of wood and canvas…red lines cut thick as paste." "My first death was a butterfly." The poems describe the perpetrators, so many over the years, over the continents: Auschwitz, Jim the Crow, Boer, Mau Mau, Rwanda. "If I were a better man, I would have compassion." Everett’s paintings are bold, saturated with color, reds, golds, deep indigo with definite forms and irregular thick black grids. …Percival’s heart bleeds on a stiff white canvas window." And then, suddenly, three torsos, painted warm on a red background, without heads, arms or legs standing backs to us, graceful in form and beautiful, male and two females, without ethnicity, race, or national origin, undeniably alive, and in motion. Abani finishes "It’s not hard to kill a childhood,"
in Rwanda. Painted bright petals around some areolas." "There is a green one above my desk. hydrant, apple, ball, heart, blood, sacrifice, and altar. Look, my nephew says, fire engine." A remarkable collaboration by two remarkable artists. Abani’s work is so shot through with pain that the blessing, when it comes, also sears us. This novella, published in 2007, tells the story of a boy soldier called My Luck. “I have never been a boy. That was stolen from me and I will never be a man—not this way.” Separated from his platoon, he wanders, searching for them while avoiding enemies. He is fifteen. His friends are dead. His family is dead. He punctures the skin on his arm with each new important and personal death, raising bumps that he can feel when the nights are dark. What makes this work exceptional is the clarity with which Abani describes such a scene, inserting moments of grace when we need it most. There is only observation, not pity. When the platoon commander forces the boy at knifepoint to commit an atrocity, his victim, an old woman, soothes him: "Better the ones like you live." Chapter headings are the signs the boy makes to have conversation after his vocal chords are cut by his platoon leader, to keep him from screaming out when he steps on a landmine. “Silence is a Steady Hand, Palm Flat” and “Mercy is a Palm Turning Out from the Heart.” He has not verbalized for three years. "My Luck," she said. "My Luck, do you know what lonely feels like?" "Lonely is a cold, itchy back," she said. I laughed and snuggled closer, one hand scratching her back through her thin blouse, She sighed happily and my parents laughed. I keep that night close, like a well-worn photography of family, of a time when we were happy. My father died shortly after that night, and my uncle, my father's half-brother, became my father and my mother became his mistress, and I the burden that stared at him daily with a malevolence he couldn't beat out of me." One cannot help but wonder how the author could spend the hours, weeks, months putting together such a description of misery and not be deeply damaged by it. But Abani in person is warm and funny and perceptive and insightful. Abani’s discussion with Walter Mosley on the eve of the publication of another book answers some questions and raises more. He’s seen plenty, in his time in Nigeria, London, and Los Angeles. I wouldn’t be surprised if each of these countries claimed him as their native son. Abani published this through Akashic Books, a Brooklyn-based publisher. Perhaps using this publisher has something to do with his worldview: put your money where your mouth is. But as a result, we must seek out his work—it doesn’t come washing across our laptops like work promoted by the largest publishers. 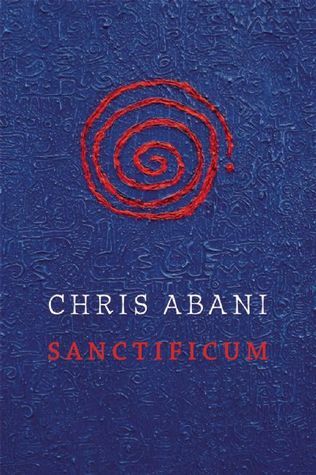 I urge everyone who has not yet had the opportunity to experience Abani’s work to seek him out. It feels relevatory. I would say to read his breakout bestseller, GraceLand, first, but perhaps you should first read this one. It has not gotten enough attention, and is so very worthy. Ingrid Betancourt’s fiction debut is a smart, sophisticated, compelling psychological thriller about the nature of marriage, love, and revenge. Socially relevant and politically astute, it has a restraint, grace, and fluency few novelists master. 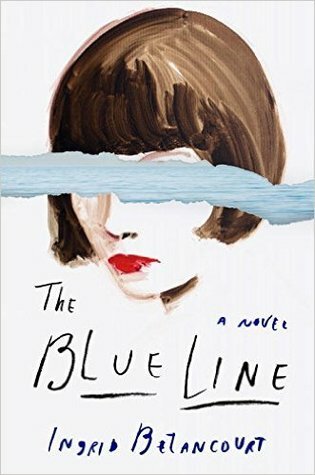 Set in Argentina in the late 1970’s, and the United States in the early 2000’s, the chapters outline a time of political tumult and its aftermath in Argentina, through the rise of a military junta and a notorious period called the “Dirty War” in which many regime opponents are jailed or disappeared. 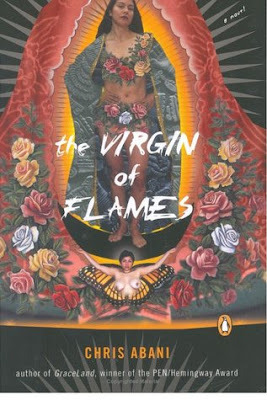 While the novel’s cover description describes the use of magical realism, the inherited prophetic capabilities of some of the characters did not reach the otherworldly heights of that narrative technique as seen in the work of other South American authors. The capacity to glance briefly into the future and possibly to tweak the outcome of events allowed the mystery and thriller elements of the novel to involve readers by anticipating moments of crisis. The story is narrated by Julia, one of the “seers,” who is educated into the mysteries of her gift by her aunt, who is similarly blessed. It appears the gift must be used with courage and compassion or it will be taken away. Julia falls in love with a young man, Theo, who is involved in protests against government corruption in Argentina. When Julia and Theo are separated, jailed, beaten and tortured for their resistance to the regime, one of Julia’s visions suggests a moment when escape might be attempted. Years later, Julia will discover what happened to Theo while she spent time raising their child. Julia and Theo get back together, but they both have changed much in the intervening years. The book opens on Julia contemplating the meaning of one vision suggesting Theo is romantically involved with someone new. The exquisite use of language and the precise observations about the nature of marriage and motherhood raise this book to the level of literature. We are treated to a the tiny changes in a husband’s habits when he takes a lover, how a child abused at school behaves when he returns home in the afternoon, how a distracted but loving mother acts when her child insists on playing, reading, or stories to stretch the limits of bedtime. "She was too early. She was tempted to get a coffee and do a bit of exploring. A swarm of stalls offering photocopying, printing, and binding services, stores selling electronics, and an invasive billboard gave the area the feel of a bazaar. Pedestrians and cars moved around amid the noise and the pollution. Julia pushed open the heavy wooden door and entered the [dilapidated building covered with graffiti]. Inside, the air was cool and the noise from the street was muffled. Light filtered into the lobby through etched glass panels. Facing her was an old-fashioned cage elevator with a folding metal door, which didn't look entirely reassuring. She was overcome by the desire to leave without going any farther." The sophistication of the novel lies in its assumption that readers will accept that some mysteries, just as in life, will never be answered. 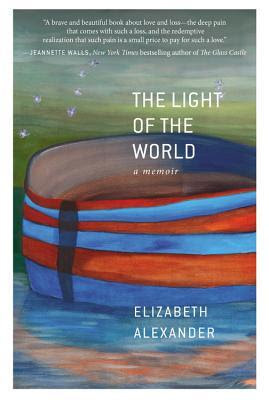 The novel also raises questions of accountability, retribution, and recompense for abuses suffered under a regime gone mad, and encourages readers to imagine how one would react when confronted with a perpetrator of those crimes, sometimes years after the fact, when one is living a new life in a different country. Betancourt manages to present important ethical and political dilemmas and make them thrilling. Betancourt was a presidential candidate in Colombia’s 2002 national election when she was taken prisoner by FARC, a guerilla organization ostensibly promoting an agrarian and anti-imperialist platform but operating by extortion, kidnap, illegal taxation, and drug sales. Betancourt was held captive six and a half years in the jungles of Colombia until a covert military operation freed her, three American contractors, and eleven Colombian police in 2008. Betancourt wrote a nonfiction memoir about her ordeal demonstrating her ravishing literary talent, called Even Silence has an End (2008). Her first memoir, Until Death Do Us Part: My Struggle to Reclaim Colombia (1989), was a bestseller in France. Betancourt's talk at Vanderbilt University in 2010 gives listener's some idea of her hostage ordeal, what she learned about herself and about human beings in duress. Those insights is what she is able to convey in this novel. This novel by Chris Abani is the literary equivalent of a Diane Arbus photograph—unsettling, terrible, grotesque, yet artistic. In the strange underbelly of L.A., the City of Angels, Abani finds a kind of hope that describes something in human nature. His dreams, his attempts to “attend his ghosts,” are difficult to look at, but of all the people we might choose to illuminate the depths of human nature, Abani is among the most courageous and compassionate. Ambiguous sexuality and race, death and desire, religiosity and uncertain faith are themes Abani returns to again and again in his writing. His main character, Black, is conflicted about his desires, and his confusion leads him to seek out those who have made unconventional choices, in hopes they will illuminate the path. Black is an artist, a painter, but not for money. He paints murals on the sides of buildings, a type of large-scale graffiti requiring long hours hanging from pulleys and ropes. One of the more significant artworks Black had created is a huge mural of graffiti copied from the walls of men’s washrooms around the country. Entitled “American Gothic—The Remix,” the sexist, racist, religionist trash etched into bathroom stalls convey a particular wasteland of the psyche. Those phrases are interspersed with lines from renowned poets, shocking in their clarity and beauty when paired with filth. In the City of Angels, Black is plagued by the Archangel Gabriel, who sometimes appears as a huge human figure, otherwise as a pigeon. The appearance of the Archangel Gabriel and the Christian iconography/ideography shouldn’t surprise us: Abani was educated in a seminary in his youth, and thought he might want to be a priest. However, the Christian themes are dislocating in the context of a searching sexuality and Black’s painting of a fifty-foot veiled Muslim Virgin [Mary] on a building near a train tracks. Abani is reminding us that Islamic texts have recorded the Angel Gabriel appearing to prophets conveying news of the Annunciation or the incarnation of Christ, just as in early Jewish and Christian texts, showing commonalities these religions once enjoyed. Many comments, observations, and philosophies expounded by the characters in this novel are in the record of Abani’s interviews. His background as a half-white Nigerian who initially moved to London and then to the United States has made him uniquely able to describe the experience of Black “going through several identities, taking on different ethnic and national affiliations as though they were seasonal changes in wardrobe, and discarding them just as easily.” Black’s friend, the “butcher-boy” from Rwanda called Bomboy, also seeks new identities, new documents, new names—furtively, on street corners out of sight of the police, in the no-man’s-land of east L.A., where cops and emergency services rarely respond to calls for help. the Virgin Mary appears hovering above the city in a virtual “snowstorm,” to the sound of trumpets, lit from above, flames licking her white dress, adored by a crowd of the poor, the lame, and the lonely. Before Angela Merkel was named Person of the Year by Time magazine in 2015, Merkel had long been recognized as a leader among leaders, one whose opinion was not just sought, but absolutely couldn’t be ignored. Could she be the kind of leader we ought to emulate? It wasn’t just her manner of soothing her own electorate that Germany could, in fact, take hundreds of thousands of migrants, changing the face of their community and revitalizing it at the same time. It was the fact that she’d led the European Community through a difficult debt crisis and managed to get a contentious Europe to hew to her insistence upon debt ceilings as a percentage of GNP. "We have to be a bit strict with each other at the moment so that in the end we are all successful together." Merkel’s record as Chancellor in Germany has few book-length analyses, but this one, written by two Berlin-based journalists for Bloomberg News, is extremely useful for understanding the basis of her style and success as a leader, while pointing out areas other European leaders do not agree with Merkel’s direction and methods. If Merkel lived in the U.S., we’d already have several books out on her rise to the top leadership post. This book, published in 2013 after the EU was awarded the Nobel Prize in 2012, is specific to how Merkel steered the EU through the debt crisis amid much political maneuvering. Several longish pieces on Merkel have appeared in The New Yorker, i.e., Cassidy, Sept 2013; Packer, Dec 2014), and may show American intellectuals the the long line of folks who have underestimated Angela Merkel. George Packer, taking the line proposed by former U.S. Treasury Secretary Tim Geithner, suggests that Merkel’s leadership through the euro crisis has been “less than inspiring” and the euro zone was saved only by the emergency intervention of the European Central Bank led by Italian economist Mario Draghi, who had been extensively lobbied by the Americans. 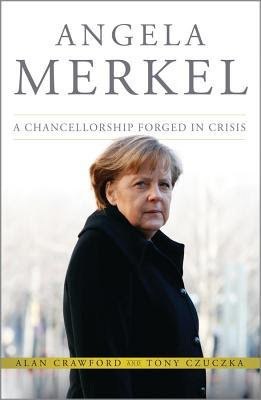 The authors of this book, however, point out that Merkel approached the crisis with a different set of attitudes toward what caused the crisis and what was necessary to fix it. Czuczka and Crawford give a tantalizing account of Merkel turning to the work of Polish-born mathematician Benoit Mandelbrot, then teaching at Yale, to understand the workings of the financial markets. Mandelbrot wrote a piece in Scientific American (1999) entitled “A Multifractal Walk down Wall Street,” later expanded into The (Mis) Behavior of Markets: A Fractal View of Risk, Ruin, and Reward (2004), co-authored with Richard L. Hudson, a former managing editor of Wall Street Journal’s European edition. “Chapters have subtitles including “How the operations of mere chance can be used to study a financial market” and “Orthodox financial theory is riddled with false assumptions and wrong results.”” One can imagine how this bolstered Merkel’s insistence upon commonsense regulation of banking and financial instruments. Merkel’s personal style of 80% listening and 20% speaking, as well as her slow (some call it “delaying”), step-by-step trial-and-error “scientific” approach to decision-making has meant she has been able to change her mind when necessary, and adopt a policy she had not previously supported, all without being personally attacked as flip-flopping. She has been able to carry her electorate along with “root” changes in government administration, tax policy, and economic and societal direction. In addition, her reliance on a few close-mouthed advisors, closed-door negotiations, and restrained personal style have not given opponents much of a target. Vituperative postings on YouTube that give voice to those who oppose her migrant policies appear to play to a minority as she enjoys record high approval ratings in Germany and in Europe generally, particularly among the eastern Bloc countries. "The supreme illustration of Merkel’s ability to pull off a reversal without incurring political damage was her overnight decision to ditch a planned extension of the lifespan of German’s nuclear power stations…Merkel the scientist said she had been convinced by the weight of evidence provided by the worse nuclear disaster since Chernobyl." Crawford and Czuczka point out innumerable instances when Merkel managed to emerge from a political scuffle victorious, from her defeat of Chancellor Gerhard Schröder, to allowing David Cameron to wander off on his own while she consolidated her leadership of the EU, shifting the center of gravity from Franco-German to Germany after the addition to the EU of several eastern European countries. The Eastern Europeans “are acutely aware that systems can collapse” and have experienced collapse in their lifetimes, which may be why they appreciate Merkel’s “commonsense” approach to rebuilding “from the root” systems that are failing. Merkel seems to be creating an entirely new coalition of formerly weak European states that may emerge as a bloc of enormous vitality in comparison to the formerly wealthy colonists of western Europe who still seem intent upon protecting their wealth rather than creating new wealth. (America take note!) Merkel is focused on staying relevant and prosperous in a future that includes the rise of China and India and other emerging economies which are experiencing growth rates that may sideline the centrality of Europe in decision making. Merkel has a small portrait of Catherine the Great on her office desk in the chancellery. Catherine “was courageous and accomplished many things under difficult circumstances,” Merkel said when asked. Catherine also ruled Russia alone for 34 years. Merkel has told close associates that she will not run again for chancellor and may even leave before her term is finished in 2017. “Mutti” Merkel has changed the face of politics in Europe during her term and enjoys unprecedented popularity despite the static of vociferous opponents. It is difficult to imagine any other person we know governing with the quiet authority Merkel radiates. This book is a very useful, insightful, and readable introduction to Merkel’s thinking, style, and political deal-making in her early terms as German chancellor, and gives us some idea of what was happening in Europe during that time. It includes biographical snippets and telling photographs of key moments in Merkel’s accession to and consolidation of power. For Americans, it may be an indispensable guide to understanding how Merkel is perceived by member EU countries. American–centric reporting misses a great deal of her appeal. Two journalists immersed in Berlin politics, and whose home countries (U.K. and U.S.) do not support Merkel’s policies, come away admiring of what she has been able to accomplish. Is Merkel the great politician of our time?